Sephora Beauty Insider, Sephora’s beauty loyalty rewards program, has just received a bit of an overhaul. And this is super exciting news for any beautynista. With more rewards, more first pass access, and more exclusives, the new program offers … well um … more to meet our beauty needs. What beautynista doesn’t love walking about a store dedicated solely to beauty products or perusing the pages of the Sephora site? These are two of The Makeup Examiner’s secret indulgences. Aside from 1000’s of products to choose from, an incentive to be rewarded for what we purchase it just one more reason to smile. So, what’s in store for the revamped Beauty Insider program? 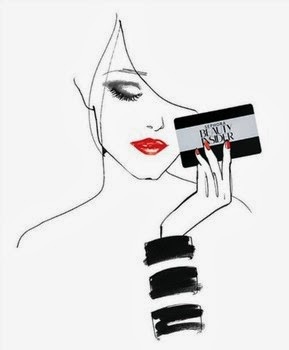 Premium Level Membership - Sephora has added a new rewards level, VIB Rouge, for the most avid product junkies. For beautynistas that spend $1,000, or more, in a calendar year, the VIB Rouge card gives access to private, limited-list events with brand founders and celebrities, advance access to new products, free shipping on Sephora.com and Sephora.ca, unlimited complimentary services at the Sephora Beauty Studio and your own beauty concierge hotline. Ultimate Digital Beauty HQ – View the latest rewards and exclusive offers, check point balances, and get access to members-only products and events at the new Beauty Insider digital hub. Plus, keep track of past purchases and products that you love, with the digital makeup bag, My Beauty Bag. Access it all with the new Sephora To Go app. Revamped Rewards for all Tiers – Beauty Insider tiers and benefits have gotten a makeover too. The program now features new ways to use your points, members-only beauty classes, first access to the most coveted new products in beauty and more, plus all the benefits members currently love … like the free birthday gift. The Makeup Examiner realizes that beautynistas are chomping at the bit with their perfectly glossed pouts. Stop, you’ll mess up your makeup and you have to wait! The new Sephora Beauty Insider program will relaunch on August 12. For those that are already members, the new program rewards will roll out automatically. For more information about how to enroll, visit Sephora Beauty Insider.